There’s nothing ‘pretty’ about these guys. 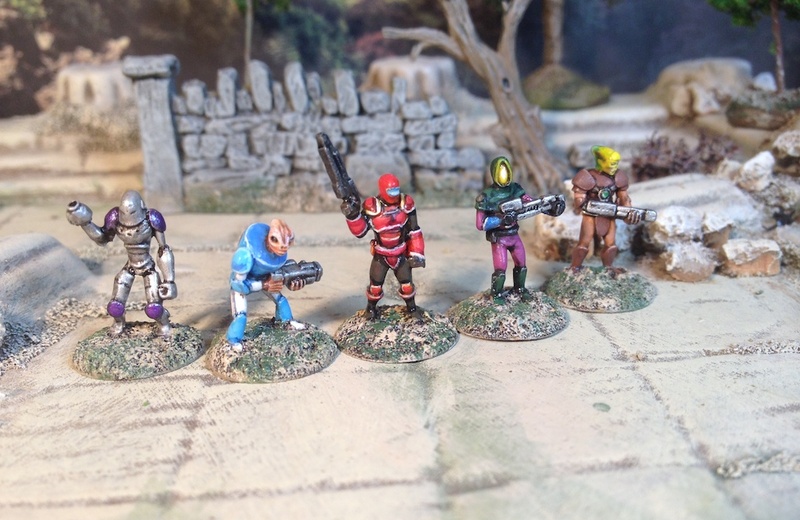 Four out of the five found in Critical Mass Games ‘Mercenary Fighters 2‘ pack. 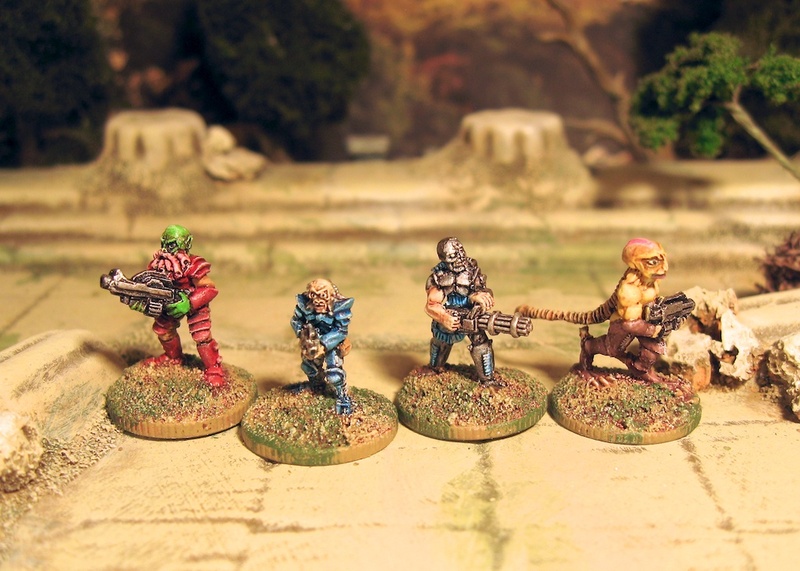 Clearly villainous types perfect for space pirates, ravagers or post-apocalypse mutant types. I say ‘clearly villainous’. Perhaps they are just misunderstood? Highlander Studio’s in the States produce a number of interesting, not-available-elsewhere, miniatures and all to a very high standard. As soon as I spotted these monkey-boys I had to have them. 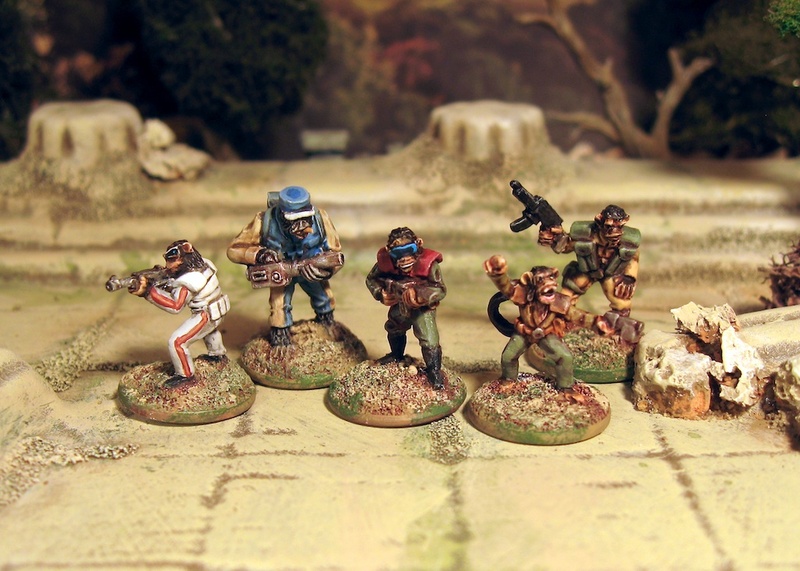 Not only do they slot in well as proxies for a 2000AD/Mega City One type of game (Judges are here) but they make a great space pirate/rogue group for Space Opera that can go up against their other genetically enhanced earth-based beast – so far painted Felids (cats) from Critical Mass and Bears from Khurasan. 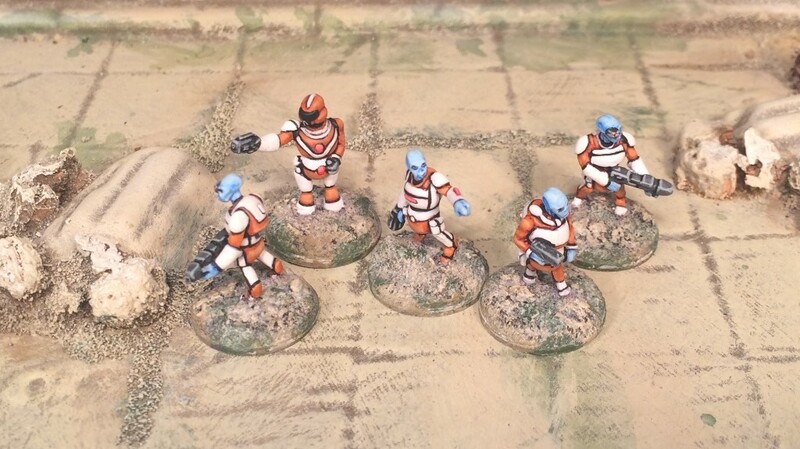 In the paint queue are dogs (CrtiMass and Traveller GW) and Rhinos from Khurasan. 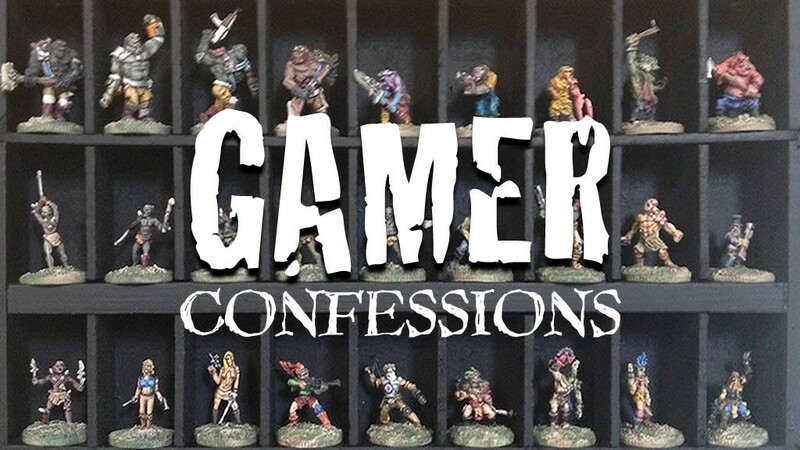 I’ve said it before – I really really like PF sculpts and I’m gradually collecting them up. There is of course a difference between ‘buying’ them and ‘painting’ them (that ‘lead pile thing’). 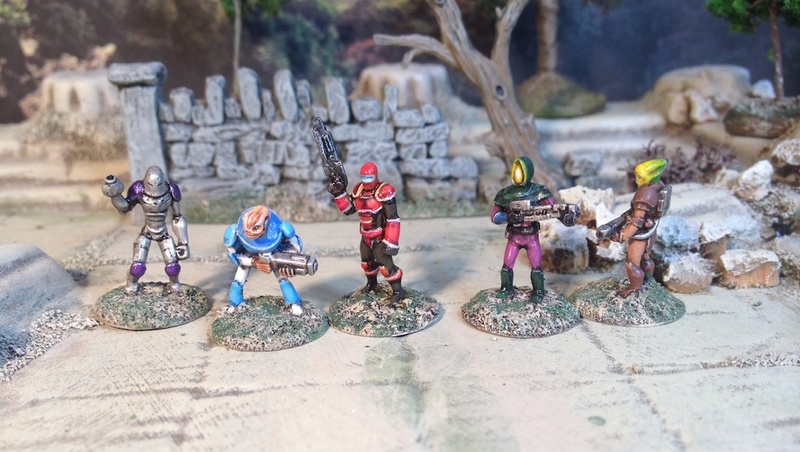 These guys – Captain Bytt’s Hired Guns – are from Critical Mass Games, fine purveyors of some of the best 15mm sci fi around. News on their homepage is promising to add more options to the small band of Astagar Fighters from previous posts. Cool. 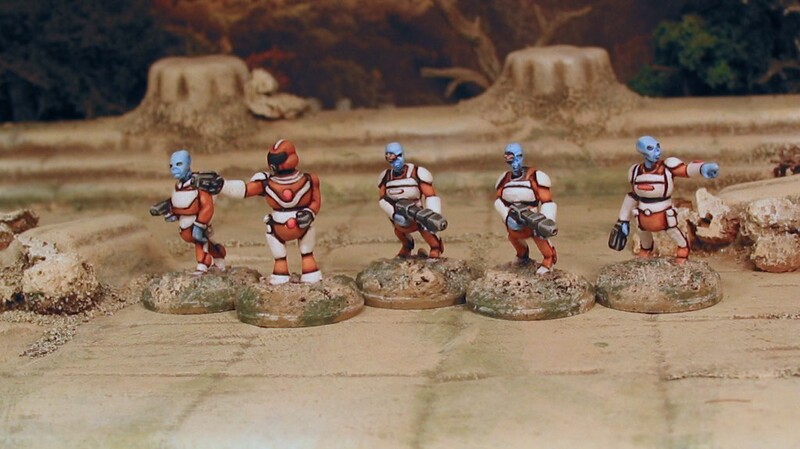 Critical Mass Games Captain Bytt and Crew 15mm skirmish packThese fine chaps have been waiting for a paint job for a while now. 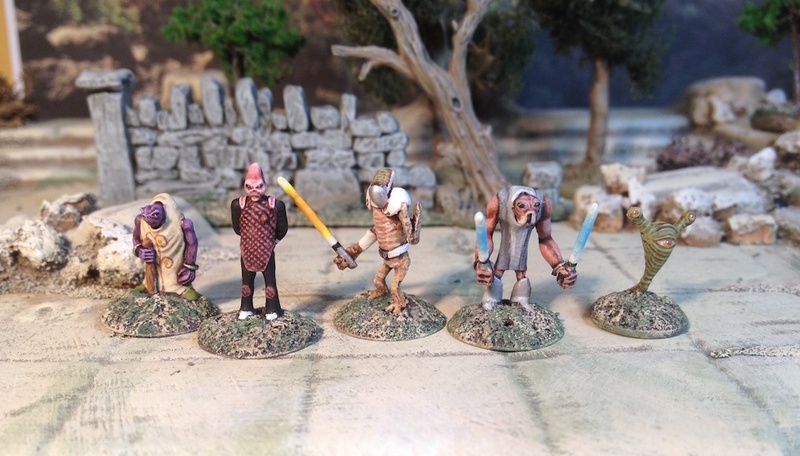 Absolutely love the style, sculpts and detail on these. 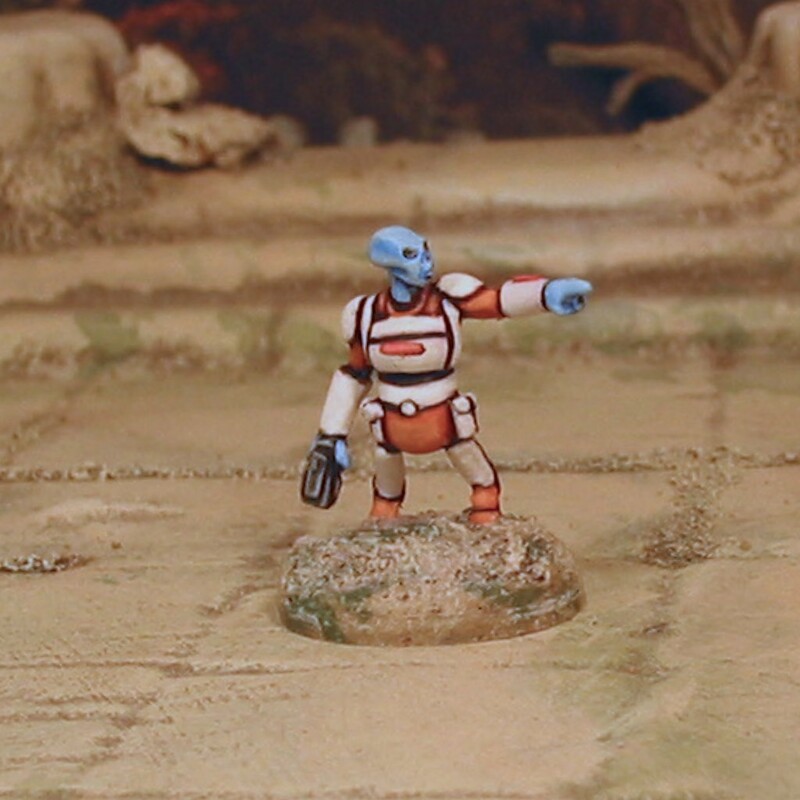 Again, some PF sculpts. 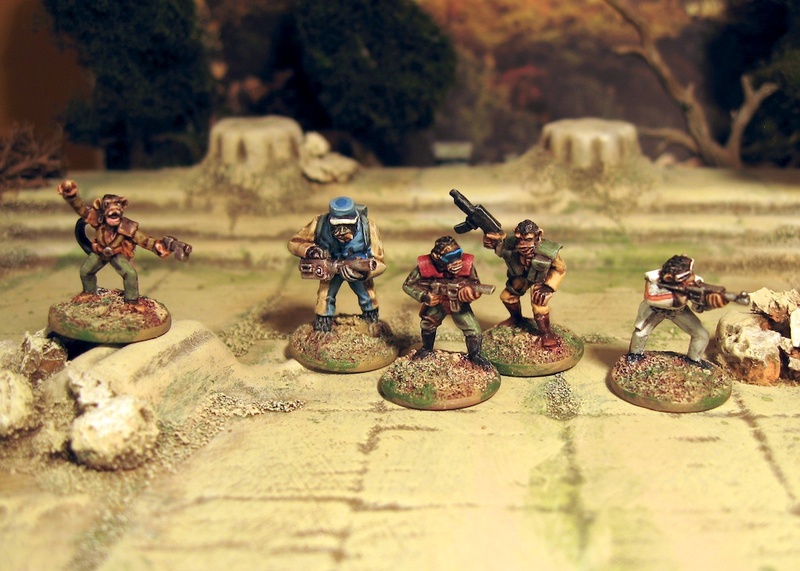 Just wish there were more (gradually collecting all his 15mm work). 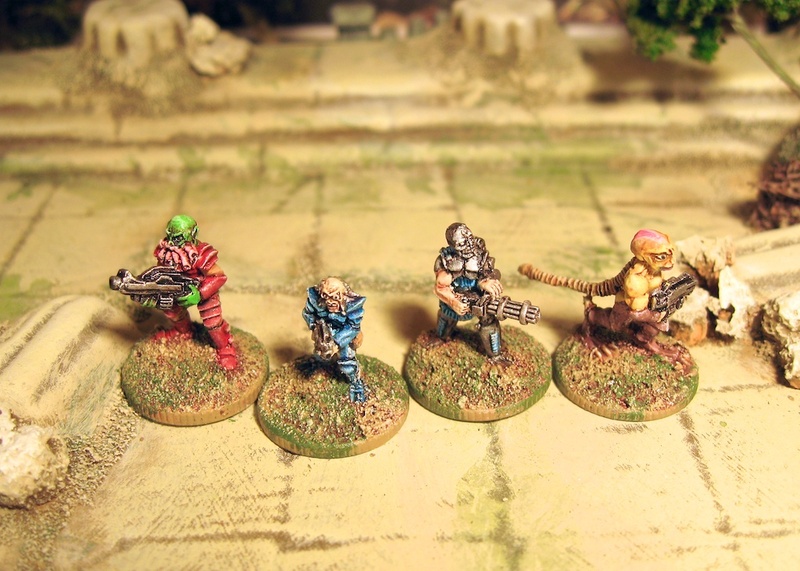 Minor conversions to the centre and centre-right fellows to make them more combat ready than originally intended (plus could do with some ‘Force’ types which I think they are prefect for). Recently acquired an airbrush so may well go back and do their sabres more justice.